Canada United States Road Atlas, Our best-selling road atlas. With 1000s of updates, the 2019 edition is the most reliable resource for on-the-road navigation and pre-trip planning. Includes national maps of Canada and the United States. Provincial maps, state maps and city maps. 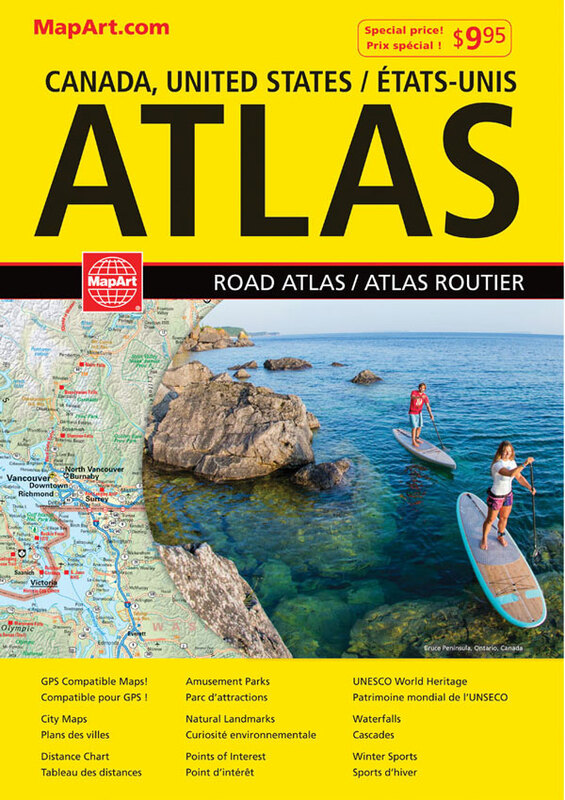 Extensive Canadian coverage Features include: detailed inset maps of cities individual Community Index for each U.S. map large Index to Canadian Communities Easy-to-read legend B.C and Atlantic Ferry Information Tips on how to use the atlas with the locator maps in front A Canadian distance chart; find distances in both kilometres or miles.